But before that if you want to know what the Instagram and how it is used then you must read this post of ours? 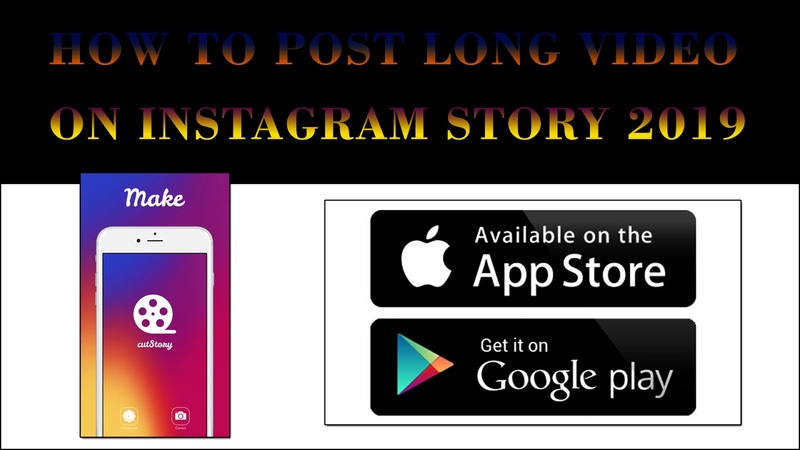 How is your video divided into different parts of the Instagram Story? For this, we will need a mobile app called Cut Story.And this is the mobile app we get in the iPhone too and it gets very easy in Android phones too.How to download the Cut Story Mobile app for Instagram.If you use Android phone then you have to go to your Play Store and write Cut Story and you have to download the Cut Story Mobile app.If you use an iPhone, then you have to go to your app store and write the cut story and you can download the mobile app named Cut Story. How To Use the Cut Story Mobile App? As we have read above, how to download the Cut Story mobile app.Let's know how to use this mobile app after downloading it.First you have to open the Cut Story Mobile app in your mobile and click on the video mark.When you click on the video mark, you will have to upload it in your Mobile Gallery, the video that you want to split into different parts in the cut story mobile app.And you will see that this mobile app splits your video into 15-15 seconds separately.And you can post that different parts very easily in your Instagram Story. Can we send videos to WhatsApp in this mobile app? Yes, because this mobile app that splits the video into separate parts directly saved the video in your mobile gallery so we can send a different part of that video to a friend in WhatsApp also.